Students will be able to describe the makeup of their family. Ask students who is in their family. Tell students that many different people may be in their families, from grandparents to parents to cousins. Ask students to make connections between what they see in the book and what they see in their own families. Have students turn to a partner and share one thing that is the same and one thing that is different. Have the group come back together and share their comparisons. Explain that we are going to focus on the family that lives in our homes. Share that families can come in many different varieties. Families can have two moms, two dads, a mom and a dad, a grandma, etc. Some people may have more than one home that they live in. Tell students that they will be drawing pictures of the family members that they live with. 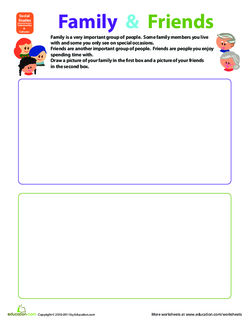 Show students how to draw pictures of each family member. Ask students to share the difference between family members and friends. Hand out the papers to each student. Have them work independently to complete their family pictures. If students finish early, they can complete the Family and Friends worksheet. Provide students with cutout figures of people that they can colour in and glue on their pages instead of drawing. 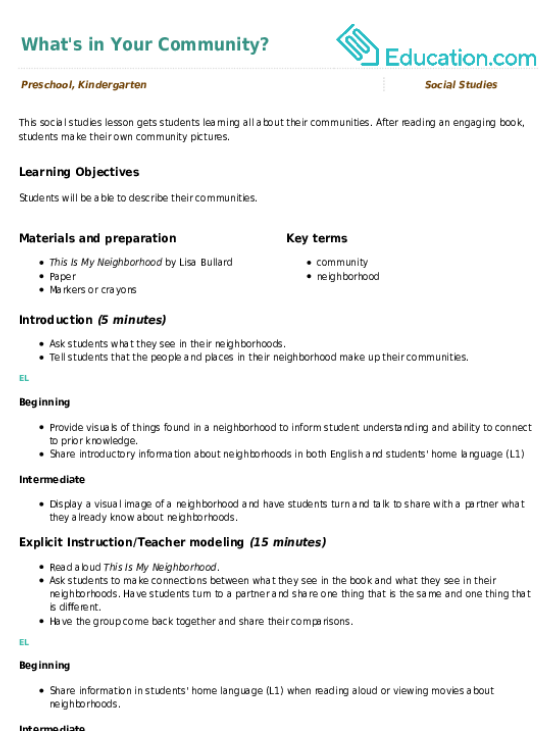 Dictate descriptions of the students' families. 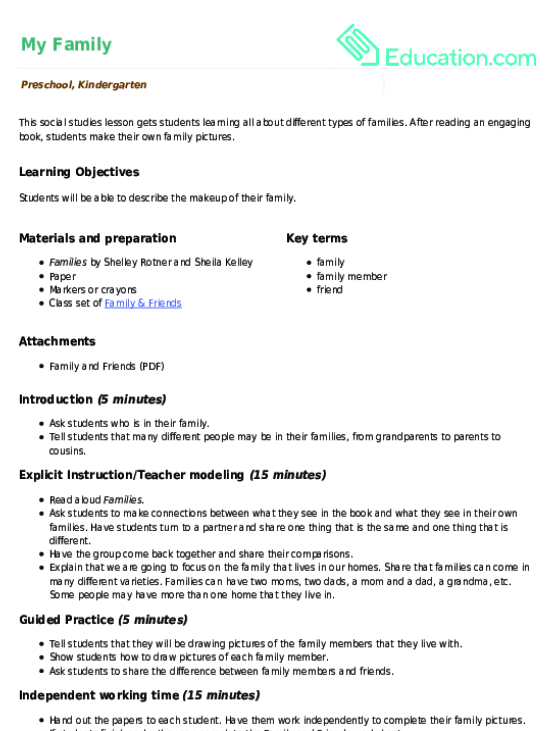 Assess how students are describing the members of their families and distinguishing between family and friends. Display the community pictures around the classroom. Have students go on a "gallery walk" to check out each other's pictures. After reading an engaging book, students make their own family pictures.